Join Dave of Dave's Record Collection and Dominick of Electric Candle Radio as they work to bring you the annual Dave and Dominick's Christmas Party! 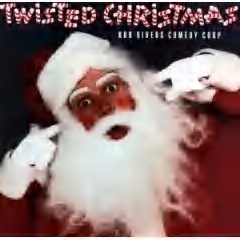 It's a six hour celebration of traditional (and non-traditional) songs and comedy for the Christmas season, including a generous portion of Bob Rivers' Twisted Christmas along with the "Christmas Anthem", Root Boy Slim's "Christmas at K-Mart." Catch the cheer from 3 to 9PM, Satuday, Dec. 23, 2006. "Turn on, tune in, and let us groove".